Birding Is Fun! : It's Spring, or is it? The weather can't really make up its mind, for as I write this it is a chilly 40° here. I have had to scrape ice off the windshield for the last couple of days. Just three days ago however, it was near 80°. But since the birds don't wait for the weather, neither am I going to wait to see what has arrived! It feels as if migration is slow this year compared with last year at this time. 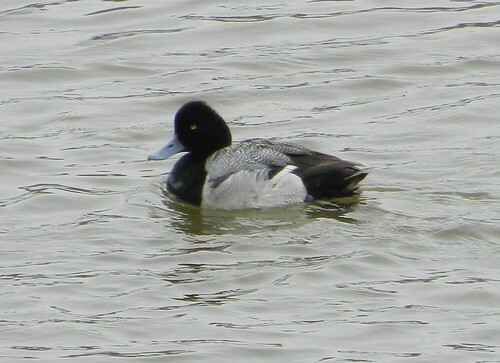 Many ducks are still around in large numbers. 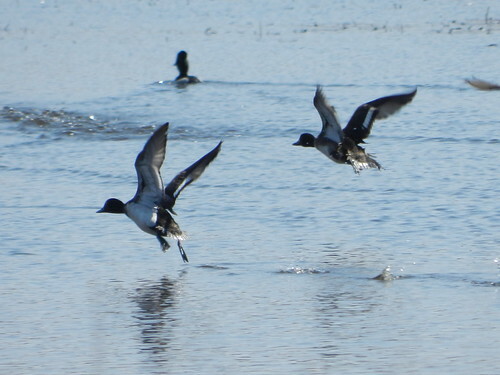 Big flocks of Lesser Scaup and Ring-necked Ducks at almost every large body of water I have come to. But, I see them all winter, I want to see some SPRING birds. 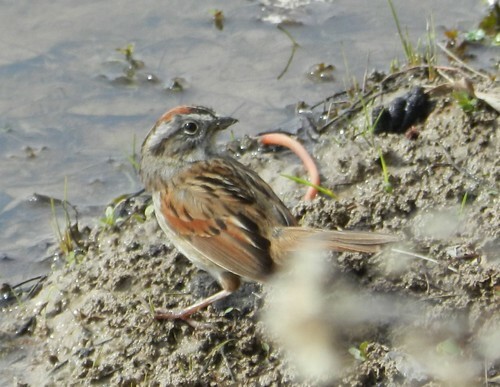 Also been seeing large numbers of Swamp Sparrows at almost every wet field I have come to. They have been around in good numbers all winter this season. As they are moving, I have seen them all winter as well. 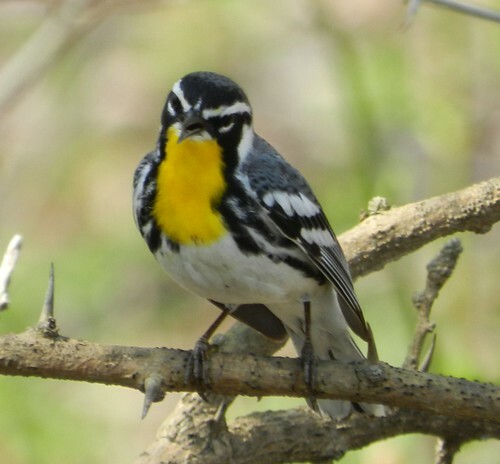 I want to see SPRING birds. 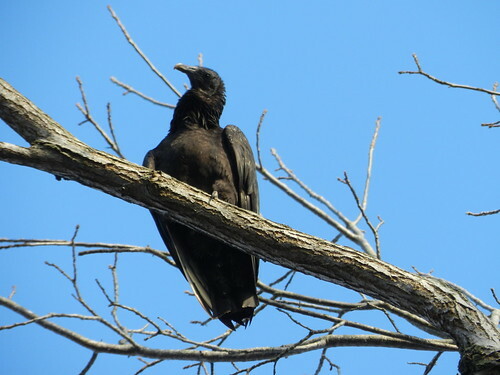 One warm day a couple of weeks ago, I walked under some Black Vultures that were roosting right above the trail. They were curious of me and gave me the eye. One bird started to spread its wings and make a light hissing sound. Then it started moving its head up and down. 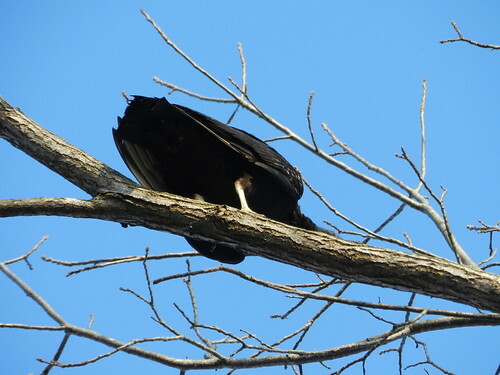 Since vultures projectile vomit at perceived threats, I thought that I better move on. Then, as the bird turned around, I thought, "I don't want to get that end either", so I best leave. But I see them year round here. 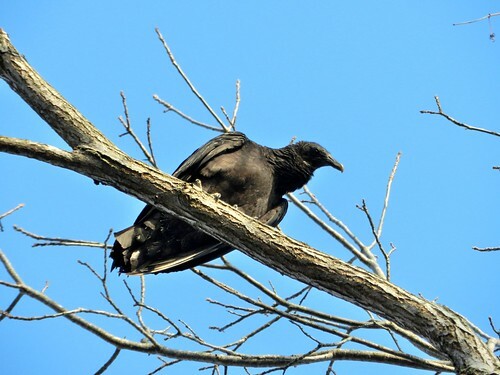 Where are the real signs of Spring? I want warblers! I decided to take my girlfriend to see a local Great Horned Owl nest that is in a local park. I am glad I did. 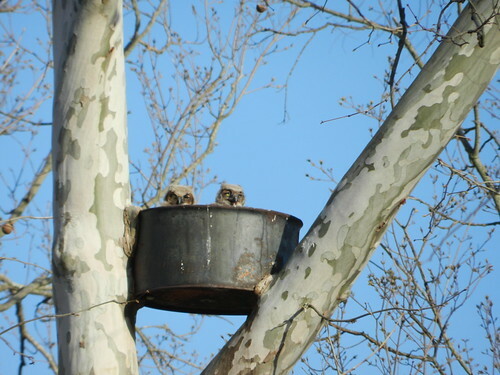 The two chicks were seen peering out of the nest can, watching the children play on the playground below them. Spring is here, but taking its time! So cute! Won't be long and they will be out exploring their world. 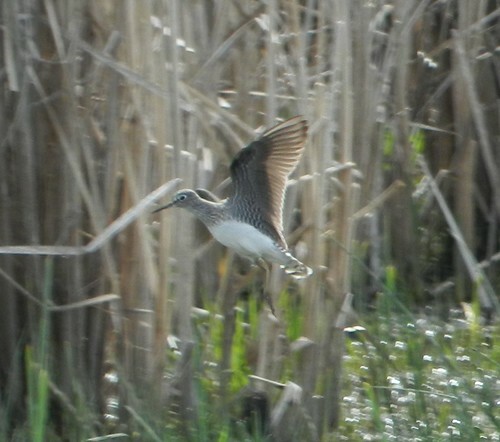 A Solitary Sandpiper! A SPRING bird. It is finally here! The early warblers must be here. I should take to the woods to find me some little colorful warbley things. On my entrance to the local state park, I hear Prairie Warblers. Tried to find them, but they are not to be seen yet. I shall take to the woods. Ah, I hear Blue-Gray Gnatcatchers, it is spring. Wait, I hear another warbler singing. 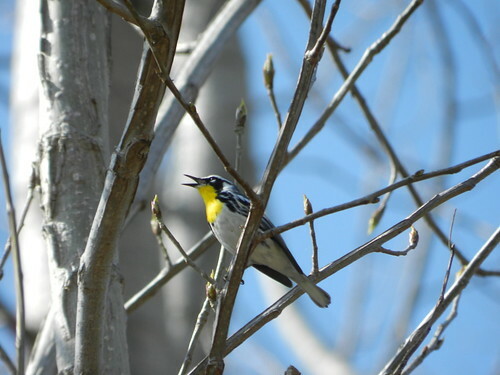 A WARBLER! SPRING is here! Time to get out and see some birds. Make sure you try to make time to get out and see nature. Take along young people if you can. At last, a couple of pretty spring birds for you! Wonderful photographs! 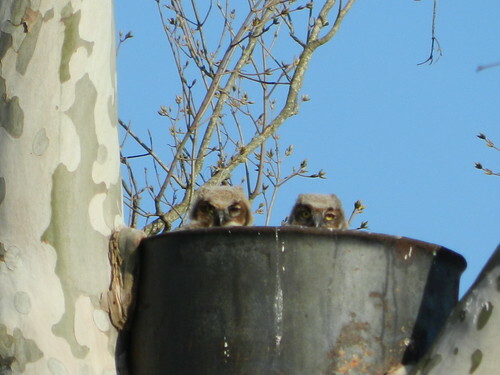 I especially love the two owlets peeking out of the nest can. Sweet! Slowly, slowly spring is coming! Same issues here. That and no time to bird as they're beginning to show!